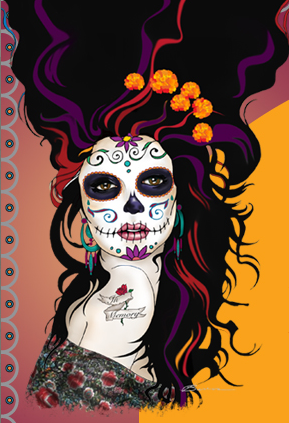 DEAD OR ALIVE--Colorful altars and other traditional celebrations of Day of the Dead, one of Mexico's most revered and festive holidays, return to Old Town San Diego November 1-2. This community-wide commemoration, which honors ancestors and other deceased loved ones with special menus, music, dancing and crafts, is free and designed for all ages. Family activities will include Day of the Dead sugar skull decorating, mask and paper flower making; and face painting. Workshops will be free or cost a small fee to cover materials. Free live music and folkloric dancing will be presented on Old Town's plazas and courtyards. Artists will exhibit works that speak to this legendary holiday and the power of love and ritual that connect us through time.